Who in the World is Philipp Franz Balthasar von Siebold? Mystery, forbidden romance, intrigue: Philipp F. B. von Siebold's life story has it all. 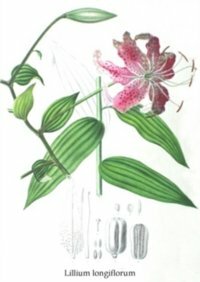 Even if you're not keen about knowing the botanical names of the plants you grow, chances are you've run across a plant name with sieboldii or sieboldiana in it (think hostas). 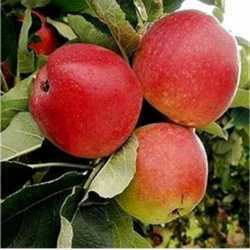 That plant came to Europe and the rest of the Western World thanks to von Siebold. 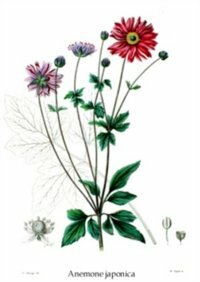 This is the third in an informal series of articles I'm writing on under appre-ciated or little-known gardeners who deserve our appreciation and who increase our knowledge and enjoyment of a gardener's life. 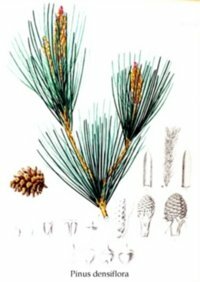 Known primarily for his work as a physician and plant explorer, von Siebold was born February 17, 1796, in Würzburg, Germany. His early life was filled with educational pursuits, following in the footsteps of other male members in his family. At the University of Würzburg he studied medicine, but also had a keen interest in horticulture. Upon reading the books of Alexander von Humboldt, a fellow countryman who was a famous naturalist and explorer, his already strong desire for traveling to far-away lands grew even stronger. Von Siebold earned his M.D. in 1820 and set up a medical practice in Heidingsfeld, Germany, now part of the city of Würzburg. Wanderlust won in the end, however. By 1822 he was already in the Netherlands looking for an entrée into the wider world. Knowing that the Dutch traveled frequently to their colonies throughout the world, he entered Dutch military service on June 19, 1822. Soon thereafter he was appointed ship's doctor on the frigate Adriana on a voyage from Rotterdam to Batavia (present-day Djakarta) in the Dutch East Indies (present-day Indonesia). After a very long time at sea, he arrived there on February 18, 1823. Once in Batavia, he impressed the governor-general Baron Van der Capellen as well as the head of the Batavia botanical garden, Caspar Georg Carl Reinwardt, with his considerable scholarly knowledge. As a result, he was invited to become a member of the Batavian Academy of Arts and Science. Following quickly on the heels of that appointment, the governor-general assigned von Siebold to a Dutch trading outpost on the island of Dejima in the harbor of Nagasaki, Japan. Von Siebold arrived at Dejima during the Japanese era of "Sakoku," where no foreigner could enter nor could any Japanese leave the country on penalty of death. Dejima served as a sort of "quarantine" area where a limited number of foreigners were allowed and where the Dutch had set up a trading company. It was the only place in Japan where Japanese and foreigners could mingle. Even so, the Dutch were usually required to remain at their outpost and not circulate around the island. Anxious to learn about Japanese society and to leave his imprint on local medical practices, von Siebold invited Japanese scientists from the mainland to show them the marvels of western science. After curing a local and influential official of an unknown malady, von Siebold won permission to leave the trading post enclave. He made the most of this opportunity, treating Japanese patients on the island and studying the local flora. As his reputation and influence grew, von Siebold was allowed to take a mistress, Kusumoto Taki, but was forbidden to marry her. In 1827 Kusumoto gave birth to their daughter, Oine. 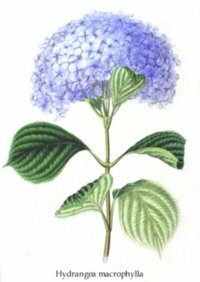 Von Siebold used to call his partner "Otakusa" and, as a result of his plant expeditions on the island, named a hydrangea after her. Through later efforts of her father, Oine became the first Japanese woman to have received a physician's training and became a very popular and highly-regarded physician in Japan. Von Siebold's penchant for exploring the mysterious led to his efforts to gain access to the mainland. What strange and exotic new plants would he find there? What new customs and artifacts? Meanwhile, he continued to draw well-educated Japanese scholars to his home in the Dutch compound. There he set up a medical school with 50 students who were actually appointed by the Shogun, a real coup for von Siebold in his efforts gain favor with Japanese officials. The students also helped him with his botanical studies, gathering horticultural specimens and making drawings of them. The Dutch language became the common spoken language at the school for all academic and scholarly pursuits. Von Siebold amassed as much plant material as he could, starting a botanical garden behind his home where he grew over 1,000 native plants. 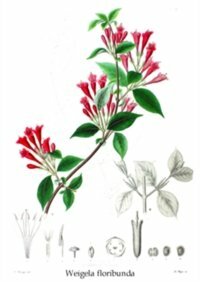 During his stay, he sent three large shipments of herbarium specimens to Leiden, Ghent, Brussels and Antwerp. Things began to unravel a bit when his sometimes arrogant behavior eventually led to serious conflict with his Dutch superiors. These conflicts culminated in his being recalled back to Batavia in July 1827. As fate would have it, the ship sent to carry von Siebold back to Batavia was damaged by a typhoon in Nagasaki Bay. The same storm wreaked havoc on Dejima, destroying most of von Siebold's botanical garden. 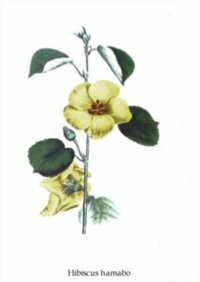 Once repaired, the ship set sail for Batavia with 89 crates of von Siebold's salvaged botanical collection and, interestingly, without von Siebold. In the year following the recall fiasco, von Siebold finally was allowed onto the mainland and set out on a journey to Edo (now Tokyo), the seat of the Japanese government. During this extended trip he collected many plants, but he also talked the court astronomer, Takahashi Kageyasu, into giving him several detailed maps of Japan and Korea. Such an act was strictly forbidden by the Japanese government. The Japanese soon discovered that von Siebold not only had in his possession the maps from Kageyasu, but had secretly copied maps of northern parts of Japan. The government charged him with high treason and with being a spy for Russia. On October 22, 1829, the Japanese ordered von Siebold into house arrest, imprisoned all of von Siebold's known students, searched his house numerous times, and confiscated all objects that he might try to export illegally. He was successful in hiding some of the most essential manuscripts, books and maps. That was not the case, however, with the many prized items he had in storage elsewhere on the island. Everything was confiscated and he was ordered expelled from Japan for the rest of his life. 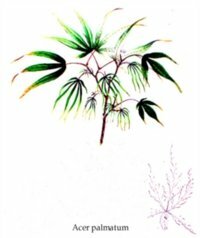 Forced to leave Kusumoto and Oine behind, he journeyed back on the frigate Java to his former residence in Batavia, bringing with him another enormous collection of plants. The botanical garden he so enjoyed during his previous stay in Batavia soon housed all of von Siebold's surviving, living flora collection, about 2,000 plants. After a short stay, he departed for the Netherlands, arriving there in July of 1830. His stay in Japan and Batavia had lasted eight years. 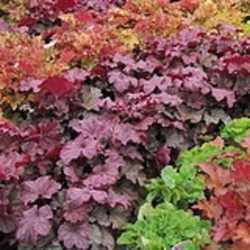 Von Siebold first introduced to Europe such familiar garden plants as the hosta and Hydrangea otaksa. 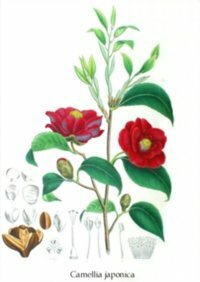 Unknown to the Japanese, he had also smuggled out seeds of tea plants to plant in the botanical garden in Batavia. Through this single act, he had founded a tea culture in Java. Within three years, Java already boasted a half million tea plants. Until then Japan had had a monopoly on tea plants and had strictly guarded against their export. Taking with him the major part of his collection, von Siebold settled in Leiden. 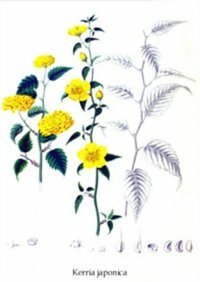 It contained many species and was the earliest botanical collection from Japan to be found anywhere in Europe. To this very day, it remains a great resource for ongoing research, a testimony to the depth and breadth of the work undertaken by von Siebold. It contains about 12,000 specimens and was purchased for a handsome sum by the Dutch government. In addition, von Siebold was granted a generous annual allowance by Dutch King William II and was appointed to the position of Advisor to the King of Japanese Affairs. 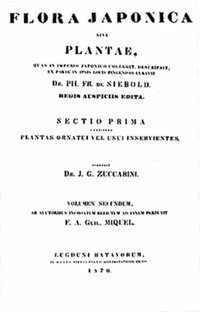 In 1835 von Siebold published the bulk of his highly acclaimed Flora Japonica in collaboration with German botanist Joseph Gerhard Zuccarini. The work was not completed until 1870, after von Siebold's death. 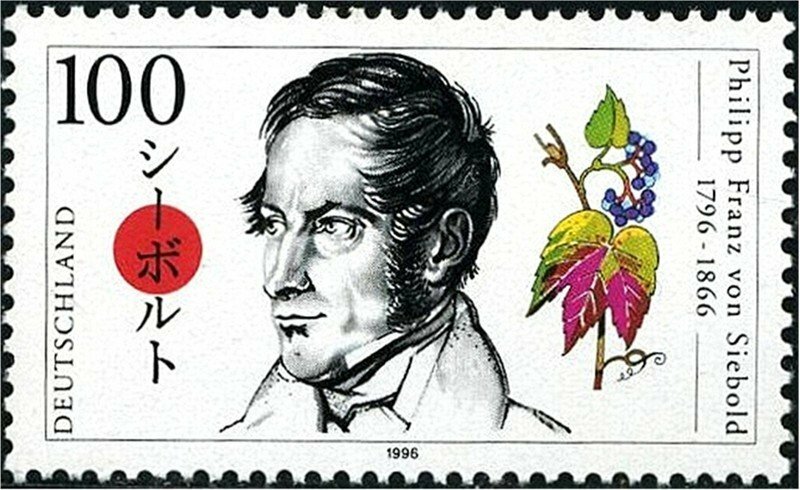 Flora Japonica cemented von Siebold's scientific fame, not only in Japan, but in all of Europe as well. From the botanical gardens of Leiden, von Siebold's plants spread to all of Europe and beyond. 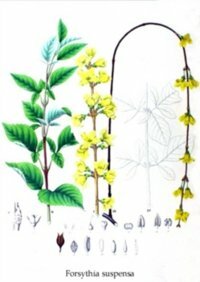 Varieties of hostas, azaleas, petasites, coltsfoot, and Japanese larches began to inhabit gardens across the world. Ironically, though he is well known in Japan yet today (Japanese tourists flock to Leiden to view any and all things von Siebold, and he is mentioned in Japanese school books), he is almost unknown to modern-day Dutch, Germans, or Americans. 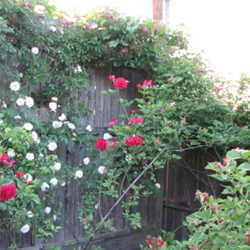 The only exception is those gardeners who happen to know the story behind the many plants with the species names sieboldii and sieboldiana. And now you can count yourself among those gardeners. ENDNOTE: Von Siebold eventually moved back to Germany, married, and had a son. In 1859 the ban on his return to Japan was lifted. He revisited Japan as a representative of the Netherlands Trading Company, but his stay lasted only two years. Being anything but a diplomat, he again aroused the ire of his employer and was sent back home to Germany. His attempts to be reappointed in 1863 as a Dutch representative in Japan were rebuffed. He died three years later. Von Siebold honored his commitment to his Japanese family, corresponding with Kusumoto and Oine and making arrangements for their support. Kusumoto eventually married a fellow countryman and Oine, as already mentioned, became a respected physician. Questions? Comments? Please scroll down to the form below. I enjoy hearing from my readers! Here is more on vonSiebold and the botanical garden in Leiden from one of my readers.